We kicked off our last day in the Batey with a visit with Caco Pelau, the local vodou priest. We walked into the place of worship, where the walls were covered with murals of Catholic saints and there were offerings to the spirits. 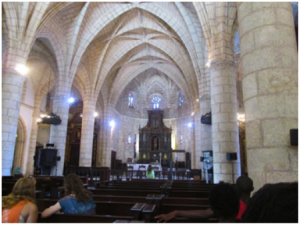 Caco Pelau really emphasized the relationship between Christianity and vodou; in places like the DR and Haiti they are not two separate religions, but are practiced concurrently. 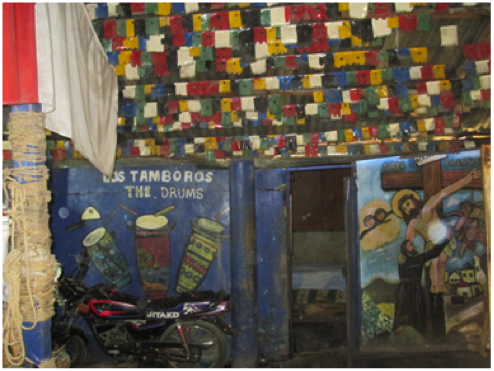 He emphasized that both religions have the same God and that in vodou, Catholic saints have spirits behind them that act as intermediaries between worshippers and the holy entity. We learned that the impression of vodou as simply magic used to harm your enemies is entirely false and unfair. The minority that practice vodou with bad intentions are deeply rejected by most priests and followers. It was a fascinating cultural experience and really brought to light the misconceptions of vodou that the media perpetuates. After lunch, we met in the calle principal to say goodbye to our new friends and host families. Four of the volunteers were to come with us to the capital, so it was time to say goodbye to all the others. Despite the language barriers and the fact that we had only met 4 days before, we had become close to the volunteers, local children, and our host families, so saying goodbye was very hard. This whole week, I have been struck by the strong sense of community in the Batey and how easy it has been to form friendships across languages and cultures. The hardest part for me was saying goodbye to Francis, my host mom’s nephew who had become like a little brother to Danielle and me in our short week in the Batey. Driving into Santo Domingo felt very strange, like we were entering a whole different world. It was obviously much more touristy than Santiago, Dajabón, and the Batey! The traffic and city sounds made me miss the relative quiet of the Batey (besides the crowing of roosters… I definitely didn’t miss that!). Even though my hotel room didn’t have any light bulbs, the fact that it had running water made it feel almost luxurious. 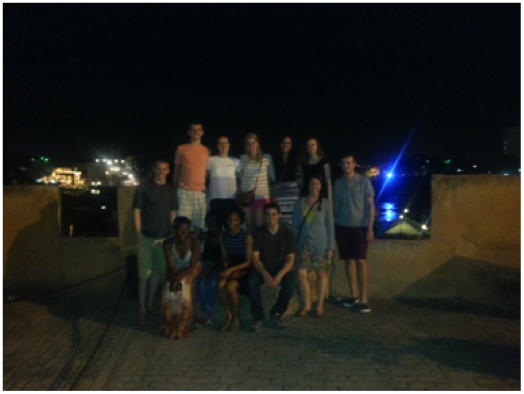 We had an amazing dinner at a restaurant on the waterfront and spent the evening exploring the Zona Colonial. It was sad to think that the next day would be the last of the trip, but we were excited to explore Santo Domingo in the daylight! Alarm went off at 6:30am this morning, waking me up to our last official day in Batey Libertad. I don’t want to think about. Thankfully, there is plenty to do. Waking up at 6:30 is not as exhausting as it sounds—at least, not as exhausting as it would sound to my pre-trip self! Breakfast was simple bread rolls and avena (a sweet drink that is kind of like oatmeal in a cup). It might not sound like much, but it was plenty food to fill our bellies. Probably because we are up so early, mornings are spent journaling and/or reading and playing with Dawenza our “host niece” or whatever little kid stops by. Our first activity of the day was to talk with Pepito. Pepito is the unofficial leader of the Batey. His family has lived there from the time it was called San Rafael. He spent a few minutes of the morning telling us all about the history of the Batey and how it has developed over the course of time. As Pepito spoke, I grew to understand the importance of the readings we had done before traveling. The batey started out being a place for Haitian migrant workers to live during planting and harvesting season, when they travelled into the Dominican Republic to work for the sugar cane companies. 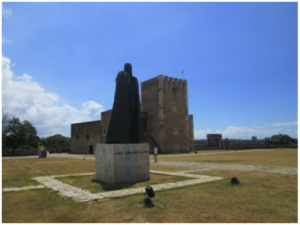 Over time, it became a place for people to live instead of only for temporary lodging, that is when the name changed from San Rafael to Batey Libertad. Without having the context of the readings beforehand, I think Pepito’s story would have been harder for me to understand. 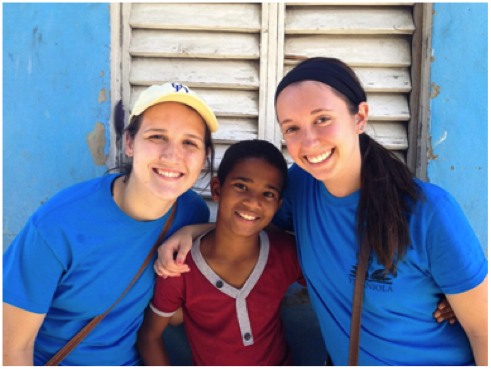 It is interesting to think about how much the Batey has changed. 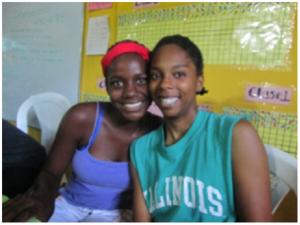 While by American standards the Batey may be terribly impoverished, there has been improvement over time. As Pepito described it, I began to feel renewed appreciation for the people who lived there and the place they called home. Whereas before, people would have had to carry water from a distance, there are now standing pipes where people can get water two times a week. It is limited to those times because the water has to be accessed by a gasoline pump that the community pays to operate. Also, most of the original barracks where people used to live are gone, replaced by block (concrete brick) homes. Still, despite the improvements, there is still so much more that can and should be done. 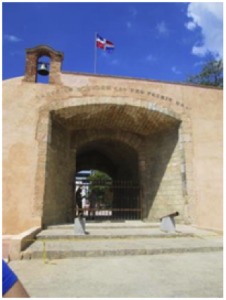 Originally, the sugar companies were in charge of maintaining the bateys, but when the sugar industry in the Dominican Republic collapsed under pressure from US competitors, so did the supervising body for many bateys. Even now, the government has not stepped in to replace the sugar companies and has not been supportive of the communities efforts to improve the conditions in Batey Libertad. In fact, it took four years for the government to run water pipes the 2 kilometers from Esperanza to the Batey. Even with this improvement, the water pipes still sit across the road, unconnected to the Batey water system; leaving the community to rely on the gasoline pump. It is a situation that smarts with the discrimination faced by people of Haitian descent in the Dominican Republic. That is why, when Pepito explained that many in Batey Libertad want to change the name to just Libertad, I wanted to clap my hands in agreement. 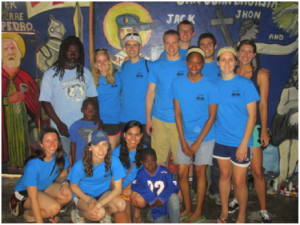 After meeting with Pepito, we had the opportunity to buy some of the merchandise made in the batey. 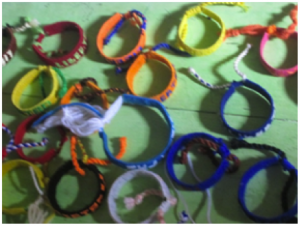 The students sold bracelets that they made with plastic straps and yarn. They also sold a CD put together by Felix and Wilson. The women, including Nick and Tim Dagastino’s host mom, TiMami, sold candles and purses that they had made. All of the money that they made either went toward the Batey women’s fund or to pay for school expenses. I bought two bracelets , a purse and the CD (which I can’t wait to take advantage of!). Looking at all the merchandise, I was once again impressed with the industriousness of the people that live in the batey as I have been so many times on this trip. 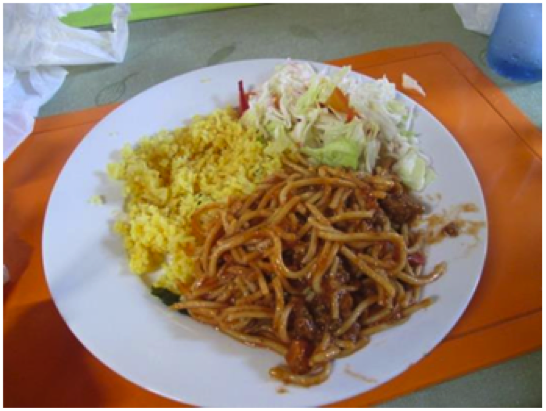 After lunch of arroz con pollo (chicken with rice) Juli and I joined the others to continue doing resource development. Kisha and I were assigned to contact paper word cards for the students. 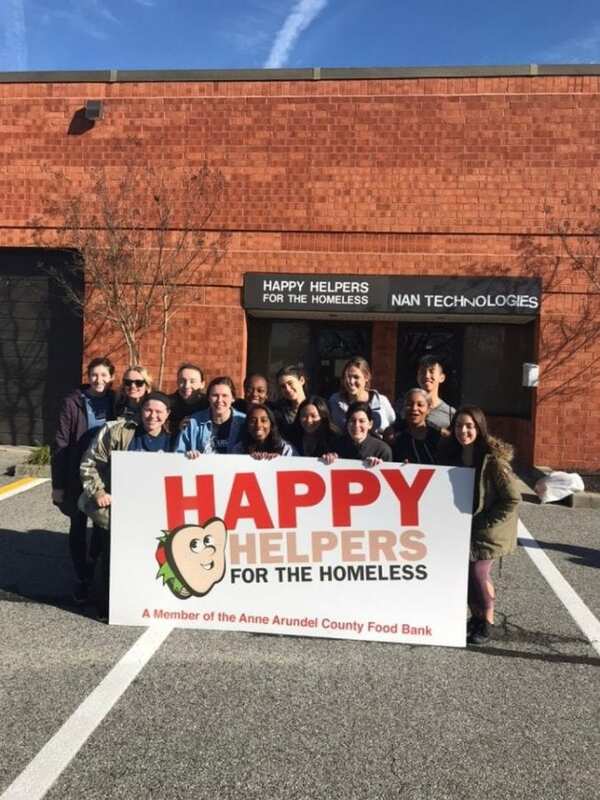 It is much harder than it sounds, but it was so worth it, and we were never lacking for willing helpers! The Batey kids were always up for a craft. We were also able to read with the children in during reading hour in the (El Centro de Aprendizaje) Learning Center’s library. As an elementary education major, it was fun to interact with the kids in an education setting. The skills of the children run the gamut from way below age-appropriate reading level to above reading level. 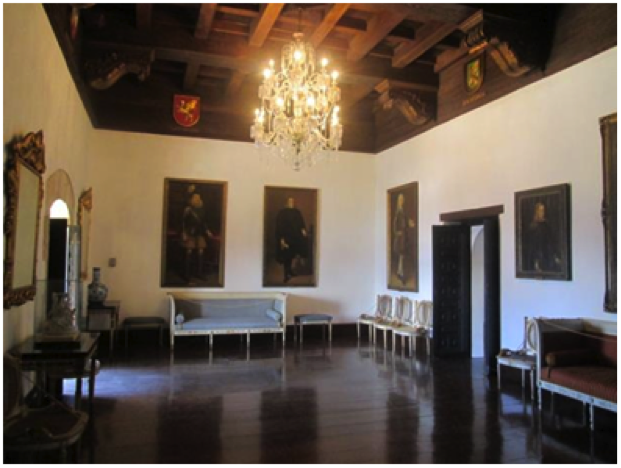 I began to look at the work that Yspaniola was doing in the learning center in a new light. In an education system as broken and dysfunctional as the Dominican Republic’s, it is reassuring to know that there are programs in place to enrich the kids’ education. Learning is something that is dear to my heart and I feel both sad and happy at once thinking about the children I met. I am glad they have the center, but sadden by the obstacles they have to overcome to receive quality education. On another note, the English exchange was a lot of fun. I got to speak in English, Spanish and Creole. Amy, one of the Yspaniola interns, facilitated the whole exercise. We had about a short amount of time with each person, which was split between languages. If we were exchanging Creole and English, for example, some time was spent on each language. We each had a list of questions that we could ask like, what is your name? how many brothers and sisters do you have? Etc. After each interaction we would rotate tables until we made it all the way around the circle of tables. At the end, Nick, both Tims and I all engaged in an impromptu Creole-Spanish exchange with some of the girls in the batey. It was so much fun! Finally, after dinner, we enjoyed our despedida (going away party)! 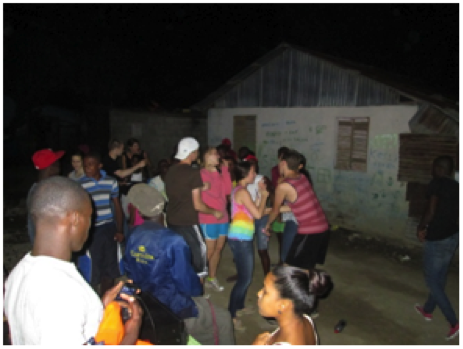 The night opened with a traditional Haitian Folk play. 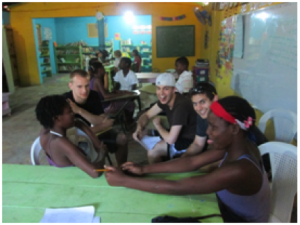 Although it was performed in Haitian Creole with Rosa’s help, I was able to piece together to story. It was a simple tale about a young woman who, on advice of her friend, acquired many suitors. Each came to her promising money—although some, like the poor farmer, clearly did not have any. Now she did not really want to marry these men so she told them all to come at four for her decision. Being faithful suitors, they all arrived at four only to be cast out of the house by the young woman’s irate father. It was a hysterical rendition of the tale complete with outrageous costumes and a final dance. 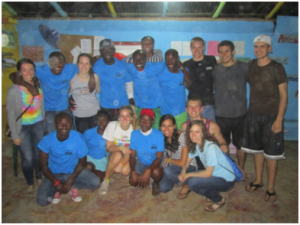 Right afterwards, we gave out the shirts to the Yspaniola volunteers. Then it was time for our own dance party in front of the Learning Center. It was so much fun! Emilio (one of my host brothers) did much of the music selection and as a result we ended up dancing the night away in 3 languages! I also learned how to dance Bachata! It is surprisingly simple but nonetheless enjoyable. 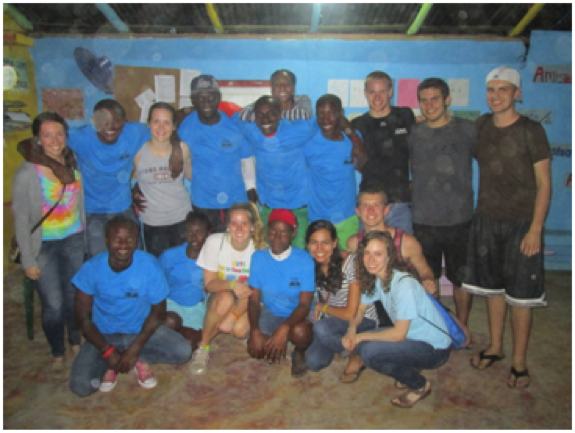 At the end, we all went out on the Play (open field in the Batey) and continued talking and laughing until our tired bodies forced us to bed. It was a wonderful night to end on. I’ll never forget talking and laughing under the stars, distinguishing each other by voices alone at times, relishing every minute and not even caring if the Spanish wasn’t quite right. I will never forget it, and I will miss it when I think of it. I will miss the Play too, and the Learning Center. I will miss it all, but mostly, I will miss the people here. Batey Libertad. There is no place like it in the whole world.